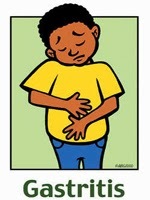 Gastritis is inflammation in the protective lining of the stomach. Acute gastritis involves sudden, severe inflammation, while chronic gastritis involves long-term inflammation that can last for years, if left untreated. A less common form of the condition, erosive gastritis, typically doesn’t cause much inflammation but can lead to bleeding and ulcers in the lining of the stomach. Homeopathy treatment helps for Gastritis. And helps to prevent further recurrence also.